We provide answers to some of the most common questions asked about our services or about lawn care in general. In addition, you can contact us at (727) 527-8800 to ask questions about anything not covered here. 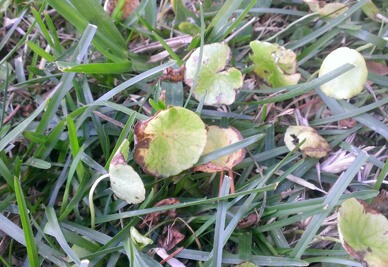 How long does it take after treatment for the weeds to disappear? Some weeds die almost immediately after application while others can take up to two weeks to die. If you have weeds after this amount of time, contact us for a reapplication at no cost to you. Brown spots can be caused from many issues, which is why a proper diagnosis is important for appropriate treatment. It can result from disease or pests or even from dog urine. 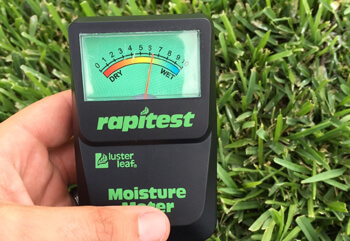 The most common reason is from dry areas in the lawn. Please always check irrigation coverage and pressure in these areas. 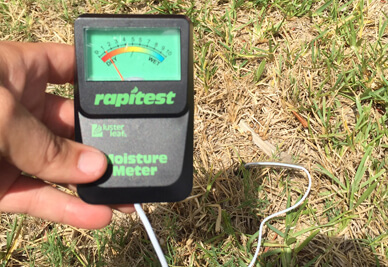 How much water do I need for my lawn and when should I apply it? 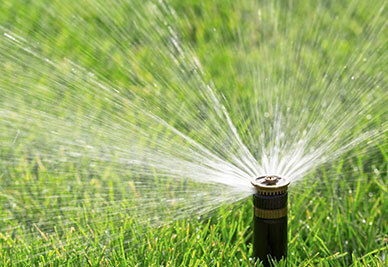 It is best to water your lawn early in the morning when temperatures are their lowest of the day. This reduces the amount of water lost to evaporation and prevents water from sitting long overnight which can cause fungus. You will need about ¾-inch of water for each area that you irrigate. Overwatering can cause many problems, including reducing the tolerance of your lawn to drought or an increased infestation of insects, diseases, and weeds. Do you charge if I have problems in between applications? No. 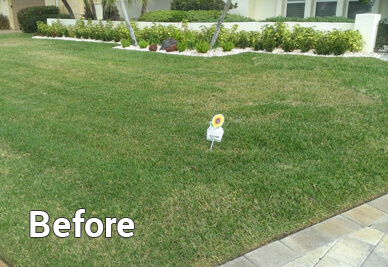 We offer free service calls if your lawn has any issues in between our visits. We provide a complete lawn care program and shrub care program and free service calls for any problems that are not managed during our regular visits. What are your recommendations on mowing? 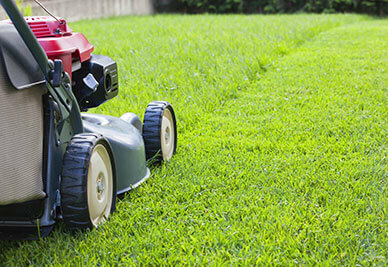 Mowing is one of the most important aspects of maintaining a good quality lawn. 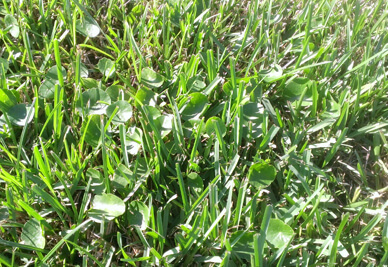 Mowing increases turf grass density, producing a tighter lawn that is resistant to weeds. Proper mowing practices, along with fertilization and irrigation, can largely determine the success or failure of a lawn. Mow your grass on the highest setting (4 Inches) with sharp blades. You should never remove more than 1/3 of the leaf blades at one time. 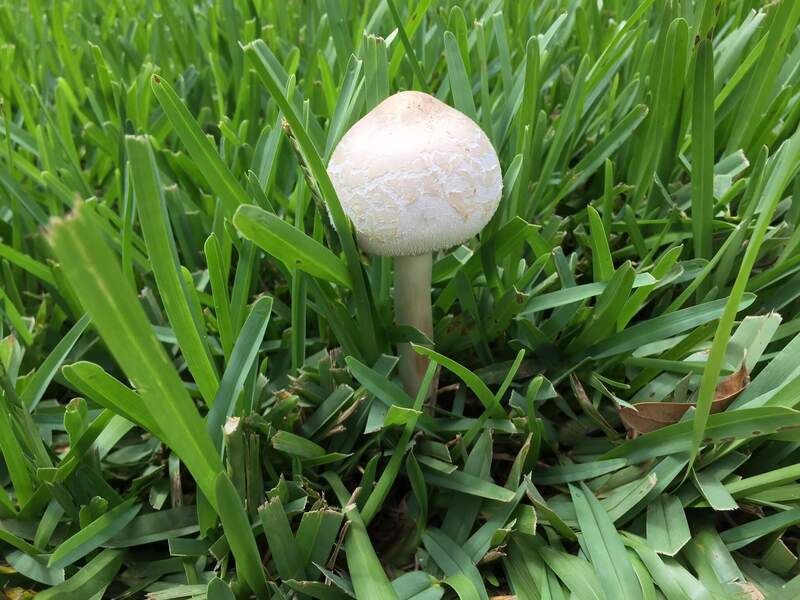 Do natural products work as well on lawns as traditional products? Yes, they must meet the same standards as other products that have been in use. In addition, they must meet strict guidelines to be considered natural products. This ensures the safety of you, your family and your pets as well as protecting your lawn from the harmful effects of using pesticides and other harmful ingredients. Tracks in my grass; is this insect or fungus damage? 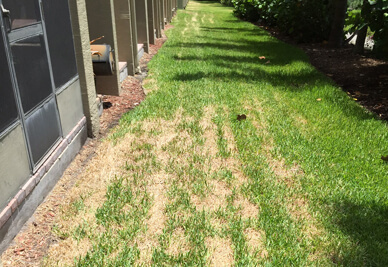 You may have noticed stripes in your lawn this summer, or large areas that look burned that appeared suddenly. 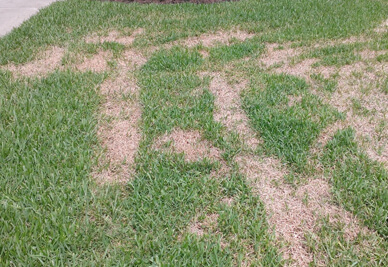 Damage to some lawns appeared soon after the grass was mowed with large commercial mowers on very warm days. The weight of the mowers likely damaged the already stressed leaf tissue and caused striping to appear. The damage seems to appear from within 24 hours to several days of being mowed. 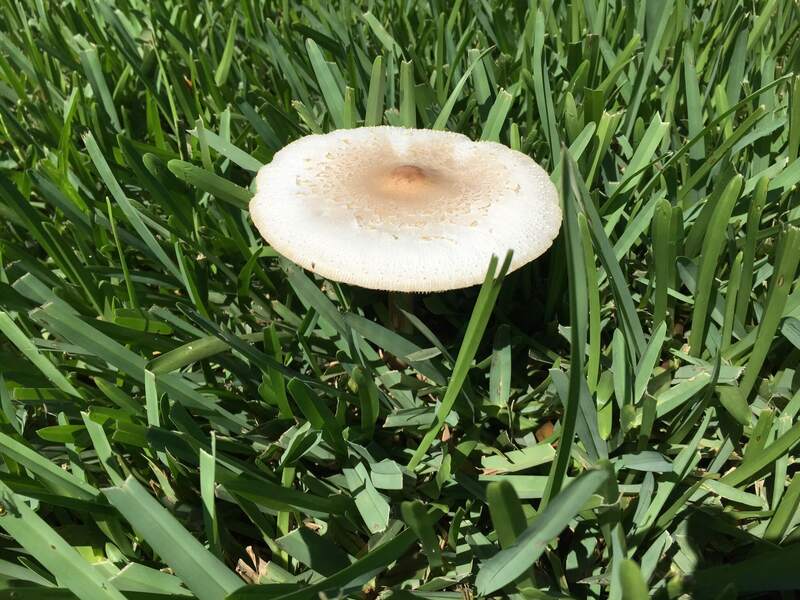 Mushrooms in my lawn; will this hurt my grass? 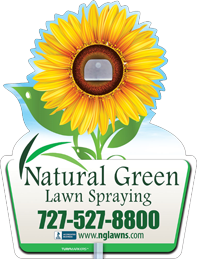 If you would like to schedule an appointment with Natural Green Lawn Spraying or would like to know more about our services, you can contact us at (727) 527-8800. 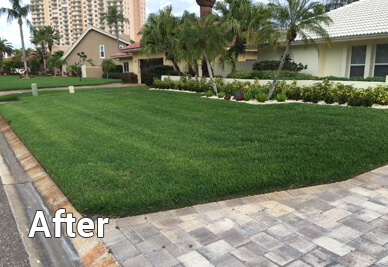 We want to help you make your lawn beautiful and healthy.